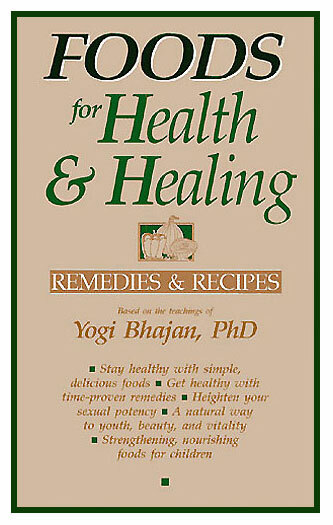 This useful book written by Yogi Bhajan, the master of Kundalini Yoga, contains a wealth of knowledge on food and health. the Yog Guru combines ancient Indian medical teachings with his own practical experience as a master of the healing arts and a master chef. This book provides you the knowledge what to eat, when to eat it, and why to eat it. It also offers simple, sensible guidelines on how to prepare, serve and digest the food you eat. Here you’ll also find food remedies which may be helpful in treating such common ailments as: colds, flu, arthritis, constipation, impotency, indigestion, lower back pain, liver problems, and more. This Yoga book on Health & Wellness contains uniquely informative sections on special foods for men, women and children, with recipes and recommendations that can be found nowhere else.